Dallas Roofing Experts: Your Roof Doesn't Have A "Check Engine" Light! Imagine, for a moment, you’re driving down the road, minding your own business - when all of a sudden that little orange beacon of fury pops on. 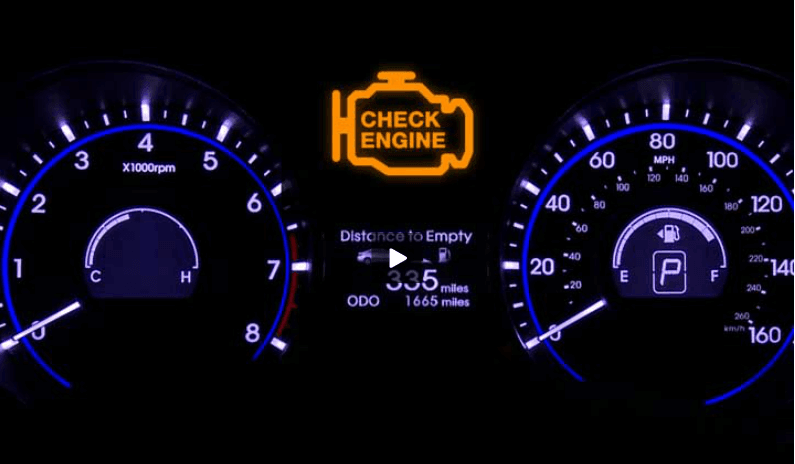 Yes, the Check Engine light is in full effect and all you can think about is….”what’s wrong, and how much is it going to cost me?” If you’ve been sluggish about maintaining your vehicle, it’s only a matter a of time before you’d have to deal with an issue like this. And who knows how much damage you’ve done to the car. The same rules that hold true for your car also apply to your roof. “Uh, WHAT?”, you ask in disbelief? Yup. Most homeowners who have their roof replaced figure once they receive their final paperwork, make their final payment, and shake hands with the Dallas Roof Consultant the journey is over. Case closed. Done. Set it and forget it. But it’s not the end. Just like your car (or your teeth) your roof must be regularly and properly maintained. What a pain, right? This is why it’s so important that you not only schedule regularly roof maintenance, but that you purchase the right roof to begin with, one that will stand up to harsher conditions and last longer. Buy a roofing system — Don’t just buy a roof, buy a complete system. This means you’re purchasing a single, integrated roofing system that includes your synthetic underlayment, shingles, ridge cap, and all other necessary components from a single manufacturer. Get the best warranty possible — Remember the dreaded Check Engine light? By purchasing the fully integrated roofing system from a single manufacturer in Tip # 1, you receive the best possible warranties to protect your investment, like the GAF Golden Pledge Warranty. Another plus? Often these warranties are transferable if you sell your home! Find the right contractor — This could be the most critical step. Using a proven, reputable contractor who understands how to install the system ensures the project will be completed correctly and that all necessary conditions are met during installation to maintain the integrity of warranties, not to mention the integrity and longevity of the roof itself. Remember, your roof doesn’t have a ‘check engine’ light, so you need to ensure that your new roof is properly installed, covered by the best warranties, and is maintained with regular check-ups. It will pay off in the long run! For more roofing tips visit AspenmarkRoofing.com/Blog!